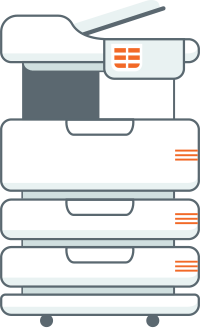 In addition to all features in basic version, MfpCloud PLUS gives you tools to monitor and control all print, scan and copy jobs per every user in your organization. 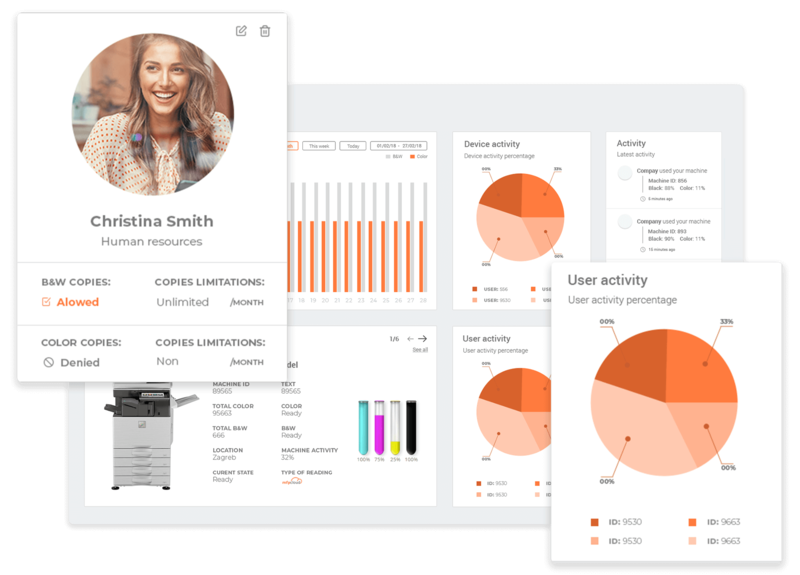 Quickly discover state of your printing fleet and analyse its performance. Authorize printing of your documents on printer devices by using secure means such as personal PIN number, password and RFID smartcards. With this feature you prevent unauthorized access to printed documents with sensitive content. Quickly find out biggest consumers in your printer fleet and take measures to optimize consumables consumption. Directly cut waste and create an ecological impact in your company and your nearest surrounding. MfpCloud Plus fully integrates with Active directory or LDAP based directory information services. This enables you to easily monitor print, scan or copy jobs per user, and to setup print policies to optimize printing costs. We work hard to support as many great brands as possible. Contact us for full list of compatibility.